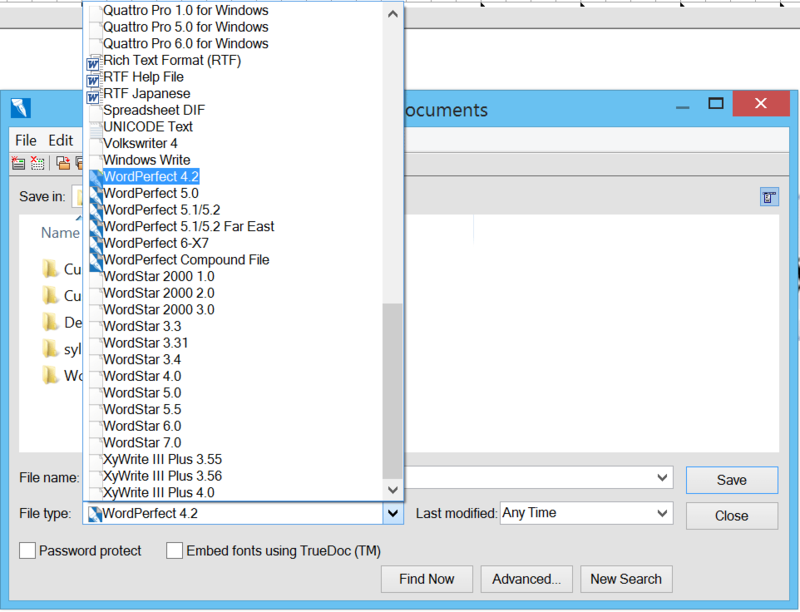 Popup menu for Word Perfect 4.2. Perfect 4.2 and its features. in bookstores is adequate testimony to this sad reality. displaying text screens, automatic scrolling of text, etc. easily uninstalled from within WordPerfect should it be required. by moving the cursor or selecting the first alphanumeric character of the command. given up on WordPerfect as being too complex and confusing. of the complex WordPerfect commands. looking up and/or entering illegal WordPerfect commands. that they have never learned or have forgotten. want to take an easy, menu driven approach. demonstration of Pop Perfect and is distributed as shareware. First, be sure to make a backup of the Pop Perfect 4.2U files. of Pop Perfect 4.2U into memory. preview box lets you see the next level of menus for each choice. You can scroll through any of the menus with the cursor key. light bar with the mouse and pressing the left mouse button. (though nonetheless logical) in naming some of the choices. choice. This is always denoted by capitalized text. ALT B Defines block of text to edit and calls edit menu. macro and want to access it, simply rename it. work fine with WordPerfect and outside of Pop Perfect. as their top row counterparts. invoke the program with the proper keypad redefinition file. most other macro programs as explained above. is" and without warranties as to performance or merchantability. upgrade to Pop Perfect 5.0.